Looking for the Hodgepodge? Click here. 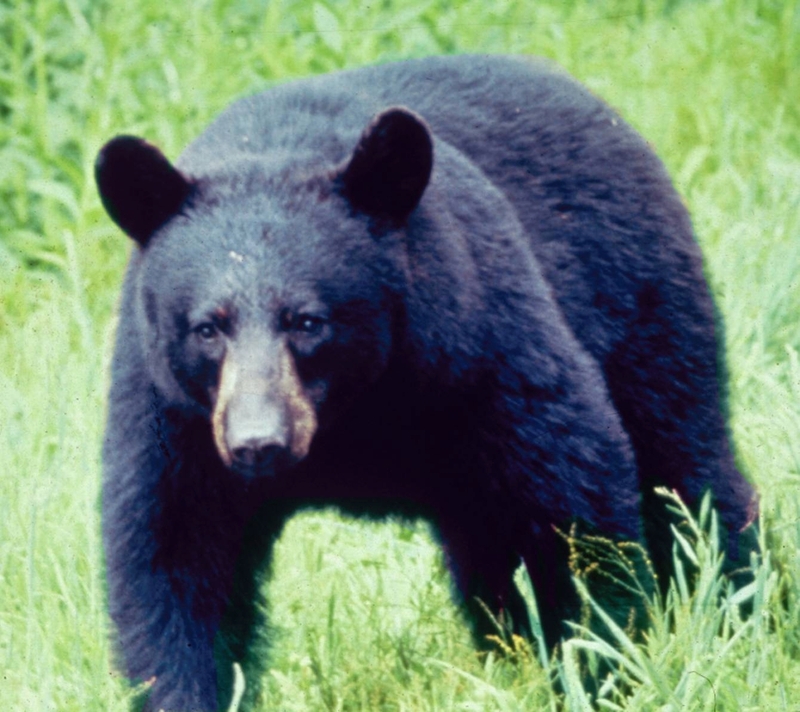 Black bears can be seen in the Great Smoky Mountains. If you're in the park, and there is a big traffic jam, you can bet that it's because of a "Bear Jam". I can remember the excitement of getting caught in a Bear Jam when I was little. If you visit the park and see a bear, please stay in your car. It really ticks me off when people pull off of the side of the road and get out of their car to get a closer look. People are just stupid sometimes. If you're on the trail, follow the rules. The National Park Service instructs that "willfully approaching within 50 yards (150 feet), or any distance that disturbs or displaces a bear is illegal in the park." 1) slowly back away. Don't turn, and don't run. 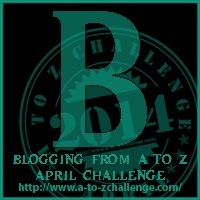 2) If the bear follows you, change your direction. If he continues to follow, stand your ground and make noise. Throw non-food items at him and make yourself seem larger. 3) If you have food items, get rid of them! Most importantly, please remember that these are not virtual bears. You're in their home, and they will protect it. There have been recent stories of bears who have had to be euthanized because of contact with a human, when the human has been the one to initiate the contact. The Appalachian Bear Rescue is located just outside of the Great Smoky Mountains. They rehabilitate bears and return them to the wild. We have had representatives come to one of my schools. 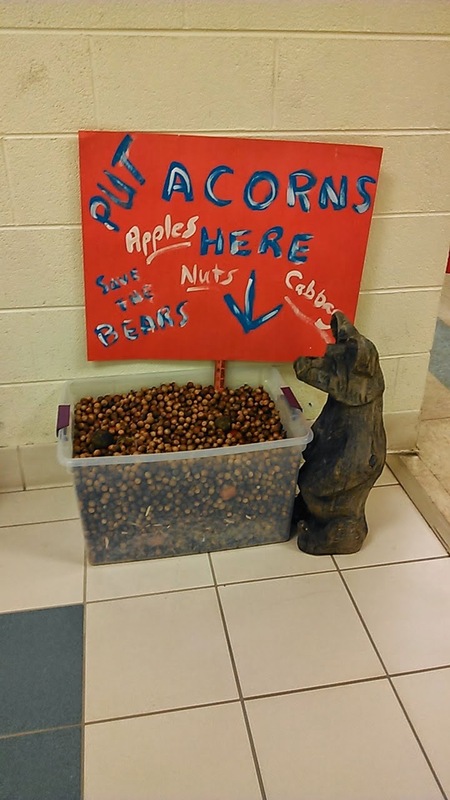 Every fall, we have a container in the foyer of the school for nuts and apples that are taken to the ABR. The kids have a good time collecting acorns around the school and their home for the bears. Go to the Great Smoky Mountains and have fun looking for the bears, but keep your distance! We got a pamphlet when we moved to this part of the country telling us how to deal with (or not deal with!) the bear. They are beautiful creatures though! I remember when we were in Alaska and the sign that I read about what to do if you saw a bear. It said fight a black bear and play dead if it is a grizzly. If it starts to eat you, fight back. I'm a stay in the car kind of bear watching girl. Why is there always someone that approaches the wildlife? I don't get it. I did not see a bear when we drove in the Smoky Mountains however have seen a brown bear and her cub while driving in New Brunswick, Canada. It is an awesome sight. Bears are beautiful creatures; on the other hand, people are stupid. Sigh. Same thing happens at Yellowstone with people getting out and wanting to get close to wild animals; there's been injuries from people getting too close, for some reason they forget where they are at and its nota petting zoo. We never got to see a bear the years we went to Yellowstone. I think that is neat with that bear rescue place! I love the little collection for the rescues; too sweet.